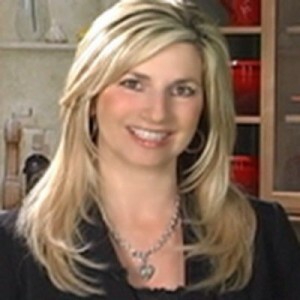 California Living® host Aprilanne Hurley invites you to make someone you love Party Girl Diet™ authentic Italian Meatballs tonight. California Living® host Aprilanne Hurley reveals her Grandma Rose’s authentic Italian Meatball Recipe, an easy, healthy recipe in the Party Girl Diet. Nothing quite says “comfort food” like a hot dish of Italian meatballs and spaghetti, and the best part is, with the authentic Italian Meatball Recipe we’re dishing here, you don’t have to be Italian to cook like one. So go ahead, get in touch with your “Inner Italian” and give Grandma Rose’s Italian Meatball Recipe a try for your family and friends and we guarantee you’ll have them eating out of your hands. Spaghetti & Meatballs on a Diet? Yes you can…on the Party Girl Diet. The “Party Girl Diet” by Aprilanne Hurley is all about enjoying a healthy, sustainable Mediterranean inspired diet and lifestyle - without the deprivation or restrictions typical of the many fad-diets on the market. California Living® host Aprilanne Hurley is on location in Sonoma, California making meatballs with Executive Chef Graziano Perozzi. Make your own anti-oxidant rich Fresh Tomato Sauce, or at least look for spaghetti sauce varieties that are lower in fat, sodium and sugar (yes some brands sneak sugar in). A little background on Grandma Rose’s Mediterranean Diet Meatball Recipe: Grandma Rose’s generation did not use measurements in recipes, but rather cooked with their senses, how the food looked, tasted, and even felt, adding more cheese, or spices etc., to perfect the texture, consistency, and flavor of a dish. With this in mind, the following recipe is the official recipe known as Grandma Rose’s Authentic Italian Meatballs, compliments of Joe Mack, Grandma Rose’s eldest son, who recommends tasting one as soon as it’s cool enough, “because that’s when they taste the best. *Fun Fact # 1 -Grandma Rose would never wear nail polish when cooking for fear that it may chip into the food she was preparing..
4. When thoroughly mixed, form into meatballs by rolling in your palms. You should make 18 to 24 meatballs. 5. Place meatballs in lightly oiled, olive of course, cookie tin and bake at 350 for 30 minutes. Do not overcook. The meatballs may be browned in a frying pan; however, the baking is easier and probably healthier. 6. When cool remove meatballs from pan and scrape off any fat that has formed. Did you make more than you need or want to freeze some to enjoy at another time? Try Joe Mack’s freezing trick – by laying them out on a cookie sheet and covering to freeze for later use. 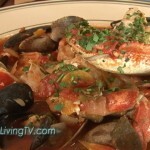 Make Grandma Rose’s Authentic Italian Spaghetti Sauce Recipe on Aprilanne.com to go with your Meatballs. Serve with a fresh green salad and lot’s of colorful veggies – Enjoy! 1. Mix 1 lb. each of ground lean beef and ground lean veal in large mixing bowl. 2. Add 3 eggs, 1/4 cup grated Parmesan cheese, sea salt and black pepper to taste (2 tsp. each). 3. Mix in 3 cloves garlic, minced and 1 shallot finely chopped. 4. Add 1 bunch chopped fresh Italian parsley. 3. Mix all ingredients together well using your hands; there is no alternative to do it right. 5. Lightly roll each meatball in flour and place inÂ frying pan with enough olive oil in it to brown them – which should take approximately 3 – 4 minutes. Discard extra oil from the pan ~ add a few ladles of the Fresh Tomato Sauce you made above onto your freshly browned meatballs, sprinkle with freshly grated Parmesan cheese and/or fresh chopped parsley and Mangia!!! Serve alone, or as a side dish with your favorite high fiber, whole grain pasta and a colorful vegetable salad – ENJOY! Click here to find out more about Aprilanne Hurley’s Aloha Diet™ coming soon!